Dunkin' Donuts sponsored a runner in the London marathon this weekend with a costume involving a donut on a stick dangling in front of his face -- but it invented a whole backstory to this so-called "Marathon Motivator" to create some buzz on social media. 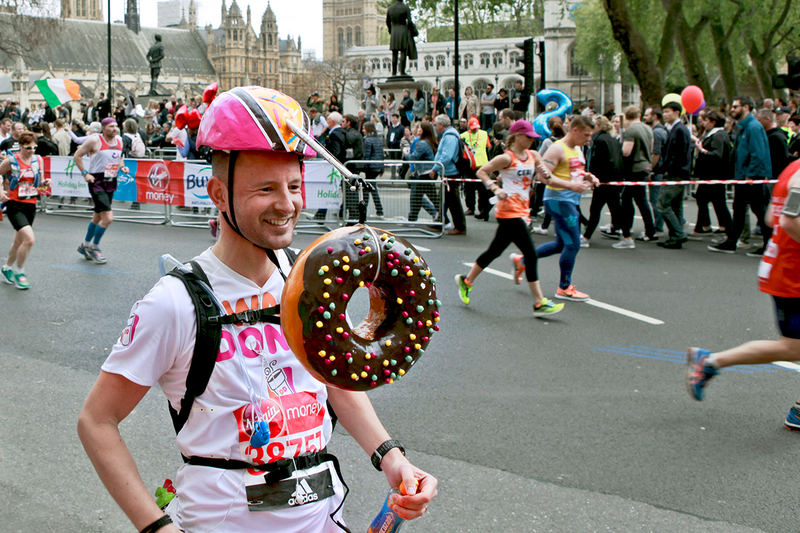 Scott Montgomery from Liverpool ran the London Marathon with the "carrot and stick"-style Dunkin' Donuts headgear set that dangled a gian donut 18 inches from his face throughout the race. 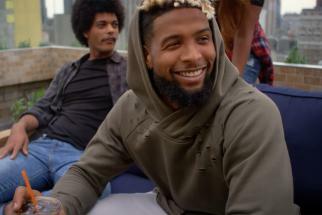 He also wore a Dunkin' Donut's branded outfit alongside the message "Just Donut." The company sponsored Montgomery two thousand pounds towards his chosen charity, Children with Cancer UK. Ahead of the marathon, The Martin Agency London created a social film that apes '80s home shopping TV, suggesting that the "marathon motivator" was a failed '80s gizmo. The "official" line from Dunkin' Donuts was that they had re-discovered the film in their archives and were resurrecting it for the London Marathon 2017. 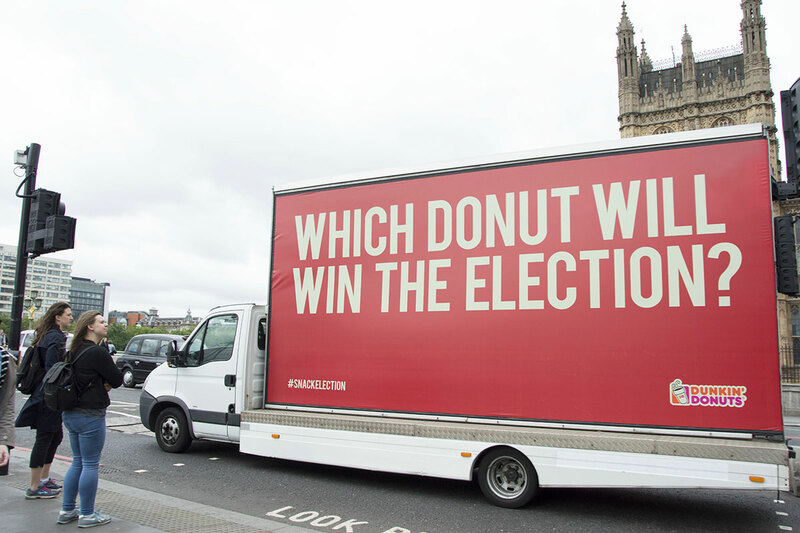 Daniel Fisher, executive creative director at Martin London said in a statement: "The London Marathon is a fun event, Dunkin' is a fun brand, and The Martin Agency is all about weird shaped ideas, so this felt like the perfect way to get involved."